Research has uncovered some misunderstandings among British expats when it comes to their domicile and tax position. These misunderstandings could leave you and your loved ones financially exposed, and could even land you in trouble with HMRC if you are not paying the correct UK taxes. As a British expat, you are likely to have a UK domicile of origin, acquired at birth. You can try to acquire a new domicile by settling in a new country with the intention of living there permanently. However, it is very difficult to lose your UK domiciled status and acquire a new one. There are no fixed rules as to what is required to do this and the burden falls on you to prove you have acquired a new domicile, and often this isn’t finally decided by HMRC until after you have died. Living in another country for a long time, does not prove you have a new domicile. Among the many conditions that HMRC list, it states that all links with the UK must be severed and you must have no intention of returning to the UK. Research* shows 74% of UK expats who consider themselves no longer UK domiciled still hold assets in the UK, and 81% have not ruled out returning to the UK in the future. This means HMRC is likely to still consider them to be deemed UK domiciled. As most British expats will still be deemed UK domiciled on death, it is important that they understand that this means their worldwide assets will become subject to UK IHT. A common misconception is that just UK assets are caught. This lack of knowledge could have a profound impact on beneficiaries. Before probate can be granted, the probate fee and any inheritance tax due on an estate must be paid. With UK IHT currently set at 40%, your loved ones could be faced with a significant bill before they can access their inheritance. Setting up a life insurance policy could help ensure your loved ones have access to the cash they will need. Policies set up for this purpose should be placed in trust to enable funds to be paid out instantly without the need for probate. Research* shows a staggering 82% of UK expats do not realise that both their UK and world-wide assets could be subject to UK IHT. All income and gains generated from UK assets or property continue to be subject to UK taxes. Some expats seem to think that just because they no longer live in the UK they don’t need to declare their income or capital gains from savings and investments or property held in the UK. By not declaring the correct taxes people can find they end up being investigated by HMRC, and the sanctions for non-disclosure are getting tougher. Research* shows 11% of UK expats with UK property did not know that UK income tax may need to be paid if their property is rented out, and 27% were unaware that Capital Gains Tax may need to be paid if the property is sold. The mistaken belief that a spouse will be able to manage their affairs should they become mentally incapacitated is leading people to think they don’t need a Power of Attorney (POA) in place. This could result in your family being left in a vulnerable position as your loved ones will not automatically be able to step in and act on your behalf. Instead, there will be a delay whilst your loved ones apply to Court to obtain the necessary authority. This extra complication is all avoidable by completing a lasting POA form and registering it. Research* shows 44% of UK expats wrongly believe their spouse will be able to sign on their behalf should they become mentally incapacitated. It is wrong to assume a will or POA document is automatically recognised in the country in which you move to. Often overseas law is driven by where you are habitually resident, and the laws of that country will apply. Therefore, you may require a UK will and POA for your UK assets and a separate one covering your assets in the country where you live. The wills also need to acknowledge each other so as not to supersede each other. Research* shows 50% of UK expats do not know if a will or POA is legally recognised in the country they have moved to. The survey shows how a lack of knowledge can lead to unexpected consequences. It is also essential advisers understand the domicile status of their clients and their plans for the future. Inheritance tax will be a concern for many UK expats and appropriate planning needs to be in place to mitigate any on-going liability. *Uncovered by Old Mutual International through a 2017 survey it conducted through Atomik Research. The survey targeted UK expats currently living overseas. There were 147 responses. The views expressed in this article are those of the author and do not necessarily reflect the views of AAM Advisory Pte Ltd. This document/article should not be construed as an offer, solicitation of an offer, or a recommendation to transact in any securities/products mentioned herein. The information does not take into account the specific investment objectives, financial situation or particular needs of any person. Advice should be sought from a licensed financial adviser regarding the suitability of the investment product before making a commitment to purchase the investment product. Past performance is not necessarily indicative of future performance. Any prediction, projection, or forecast on the economy, securities markets or the economic trends of the markets is not necessarily indicative of future performance. Whilst we have taken all reasonable care to ensure that the information contained in this document is not untrue or misleading at the time of publication, we cannot guarantee its accuracy or completeness. Any opinion or estimate contained in this document is subject to change without notice. The above report may contain data obtained from third parties and as such we cannot guarantee the accuracy of this data. 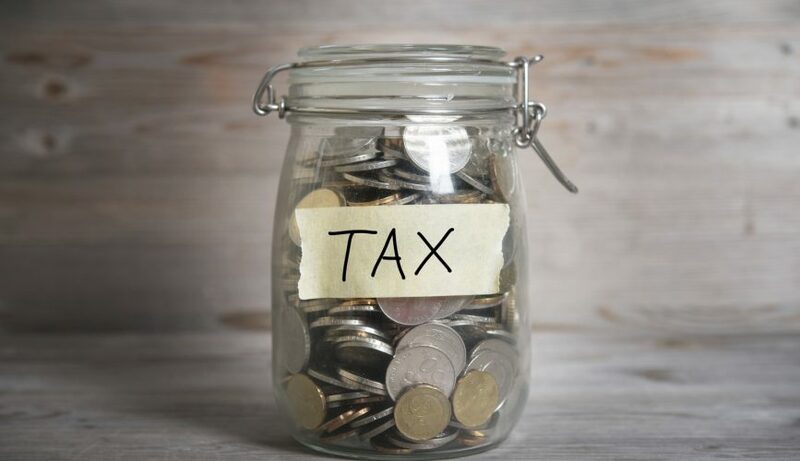 How will the Taxman come after South African Expats?